This is the last of the three hats I worked on in Peru while I was on planes, trains and auto mobiles. Although I was looking out the windows like a good girl most of the time. I cast on 100 stitches and did a ribbing of sorts with Three and One Pattern, pg 94. 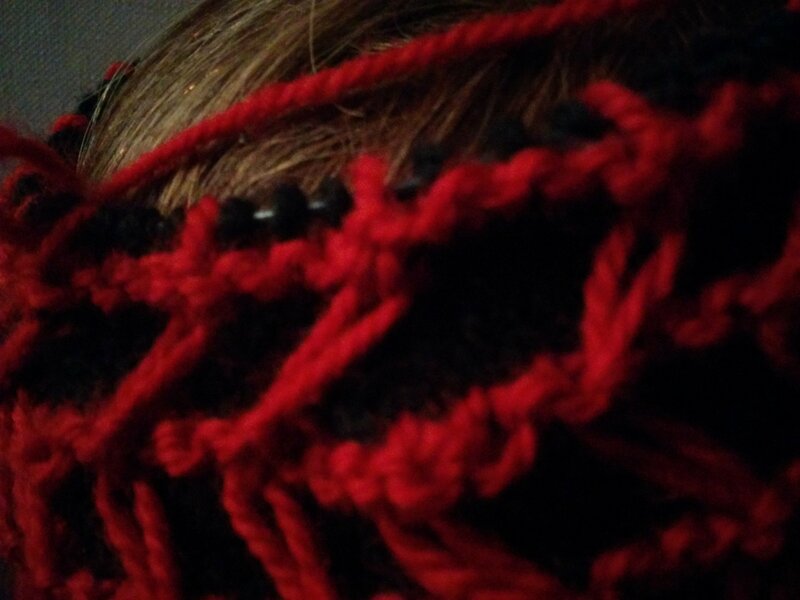 I find I am playing pretty fast and loose with the concept of ribbing these days to git ‘er done as we say at work. I switched to Zigzag Checks (pg 64), but I found it drew in too much so I ripped back and increased to 108, which, as you know, I am fond of for its decreasability (9 x12 and all the factors thereof). 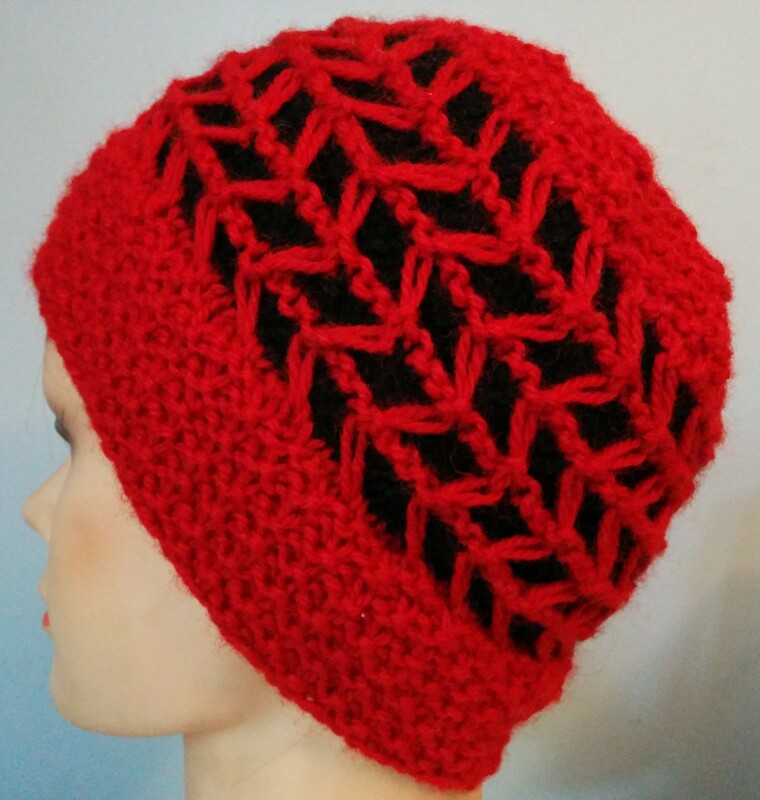 I originally tried to lose one pattern every so often but I didn’t like the gaping effect. Sorry about the picture but I just snapped it in available light before ripping out. I also tried 5 points of double decrease but that looked pretty awful too. So I settled on 9 points of decrease. 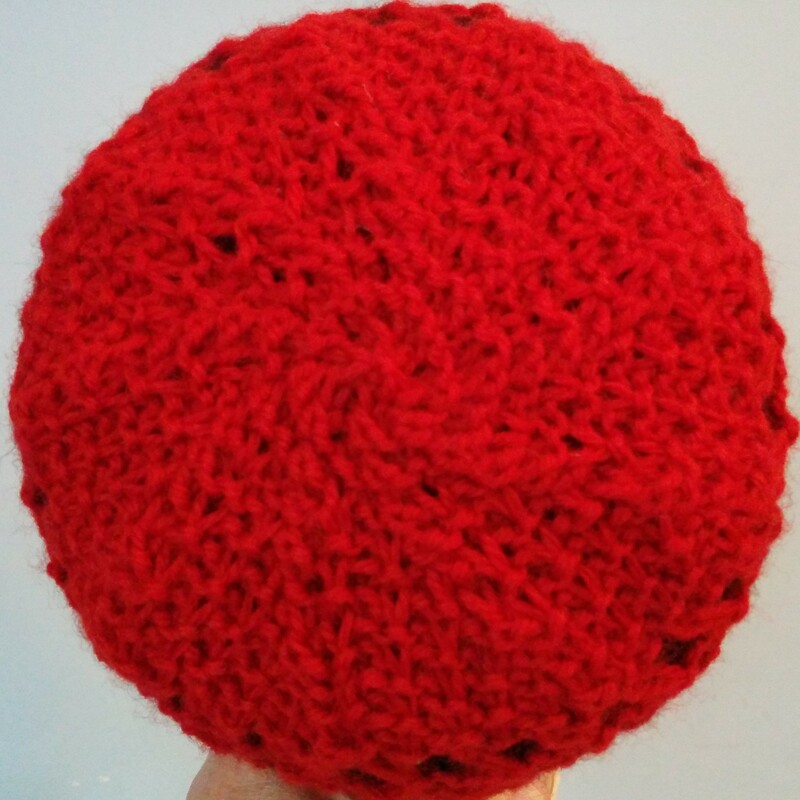 It is an also ran hat. Neither the best nor the worst I will ever make. 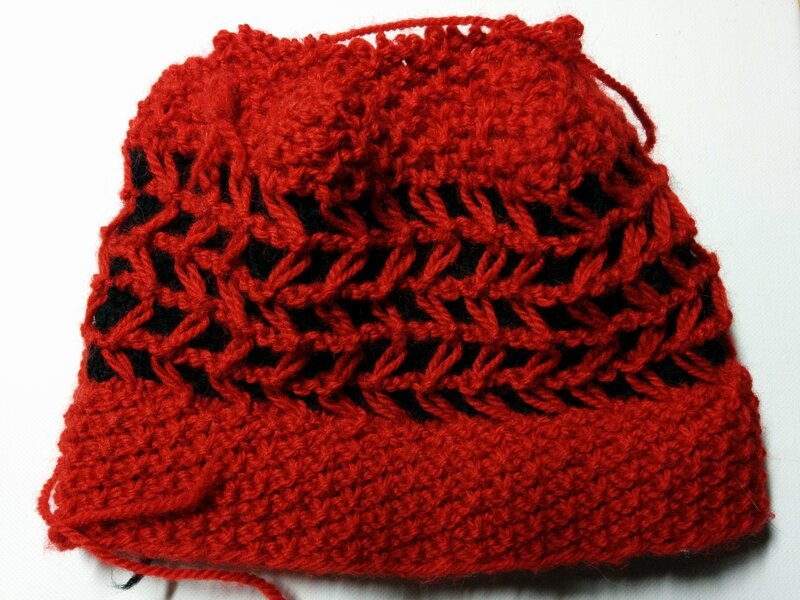 This entry was posted in Barbara Walker and tagged A Treasury of Knitting Patterns, Barbara Walker, Patons Classic Wool on October 27, 2015 by gillianknitter.